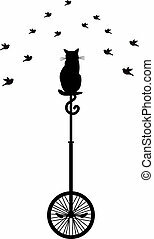 Cat on a tree with birds, vector. 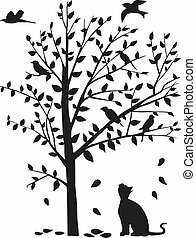 Cat sitting on tree and watching birds, vector background. 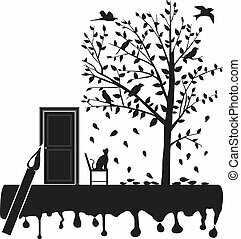 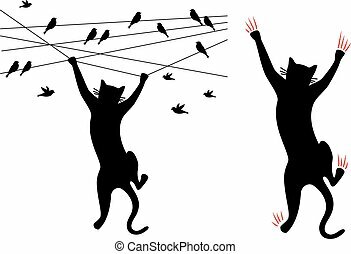 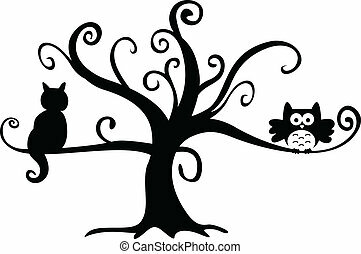 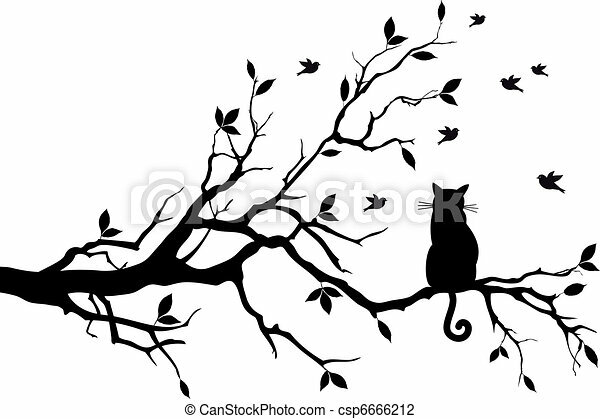 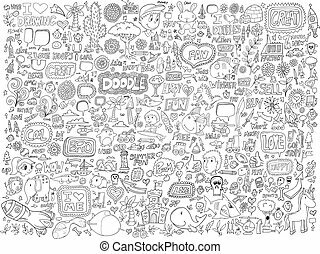 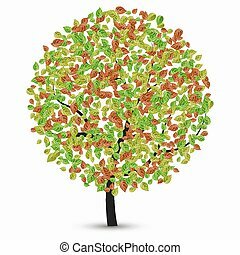 Scalable vectorial image representing a halloween night owl and cat in tree, isolated on white. 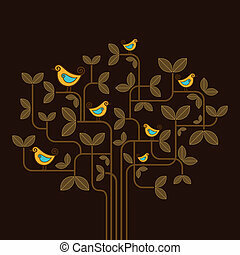 Beautiful ornate tree with birds on it. 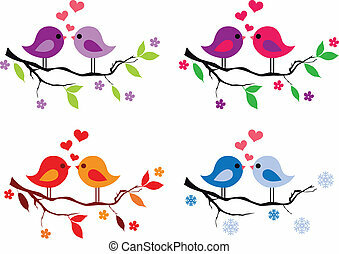 Bird with love. 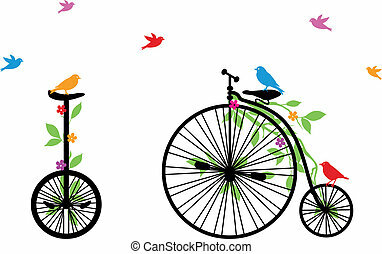 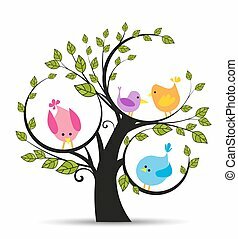 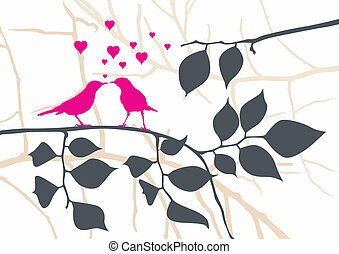 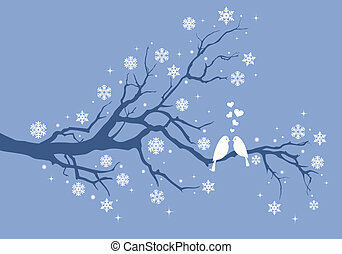 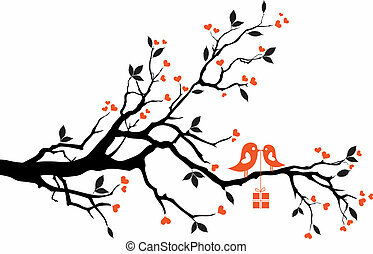 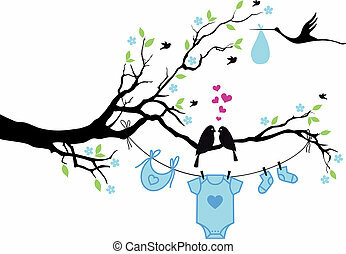 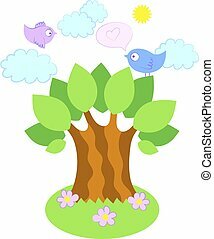 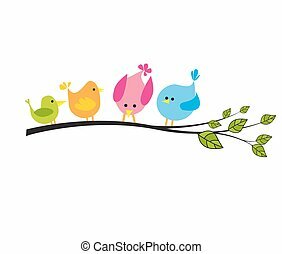 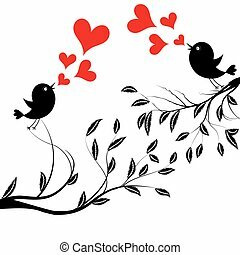 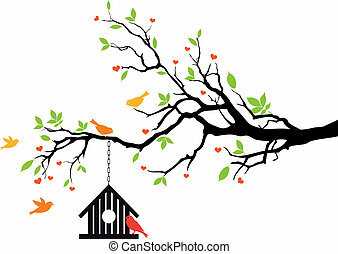 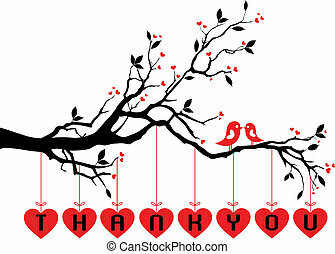 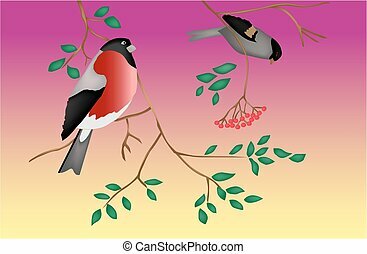 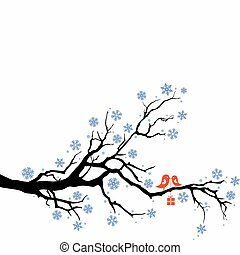 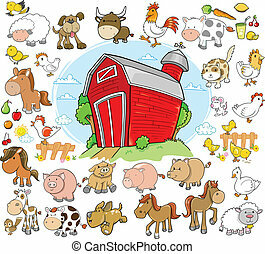 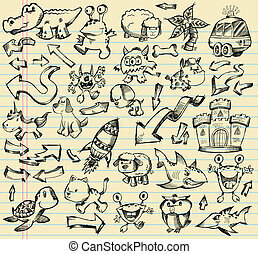 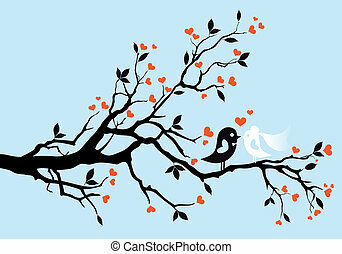 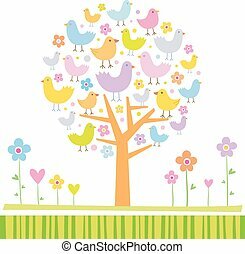 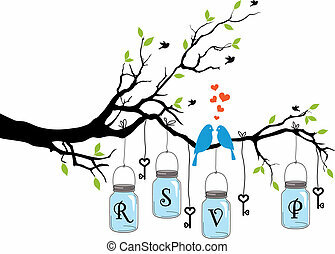 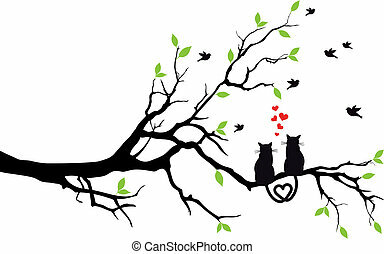 Vector illustration of a birds wedding on tree sing a heart song.